What’s New and Worth The Reservation Fret? 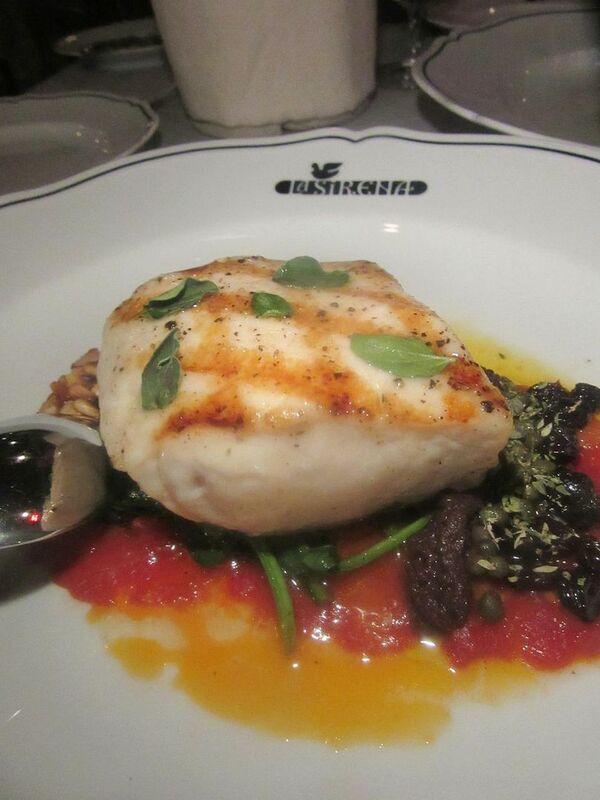 I ask for my swordfish “less cooked.” La Sirena’s cook gets it exactly, fresh and almost aglow. What’s going on? 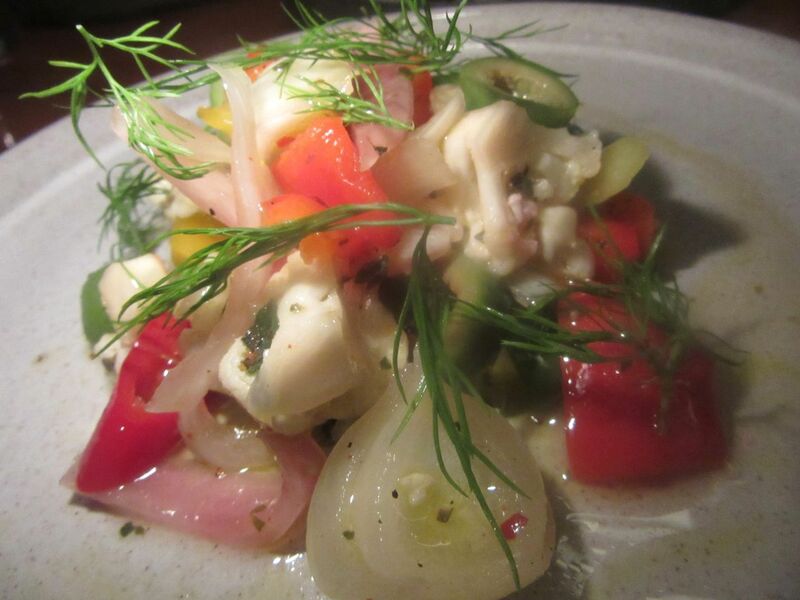 There’s almost no point in calling a hot new bistro or bar hoping to get a table at 8. You’re lucky to score a reservation at the children’s hour or 9:30 pm. My assistant calls restaurants that haven’t even opened yet, claiming to be fully booked for the foreseeable future, except at 5:30 or 6 pm or after 9 pm. As a restaurant critic, I’m not using my name, striking out. So I’m the great, unwashed rabble, just like you. 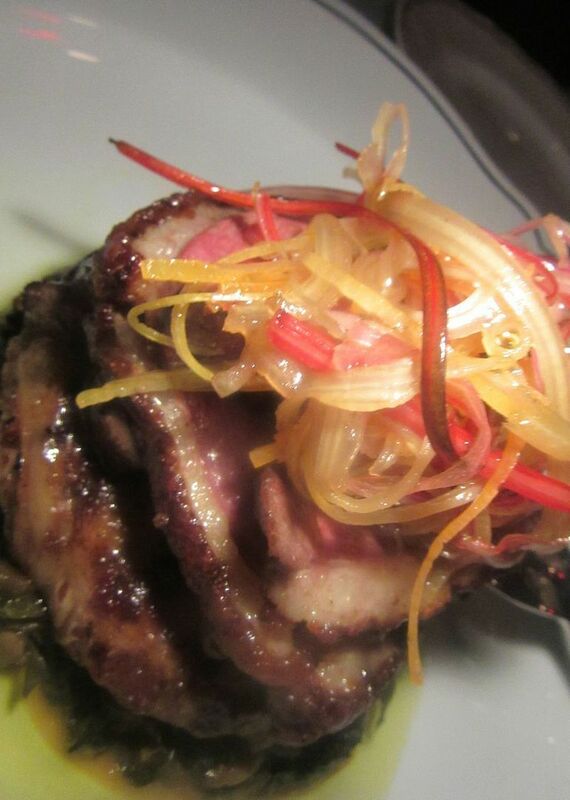 La Sirena’s crépinette of duck leg is more satisfying that slightly tough breast meat. 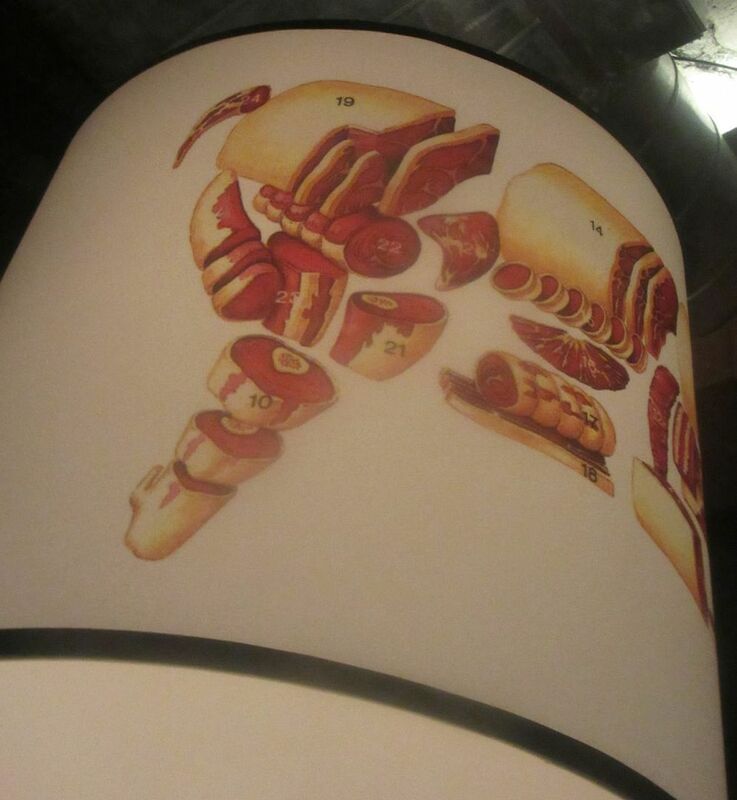 Meat is the theme on the lampshade hanging over our booth at Salvation Burger. I try to be among the first responders so I can tell my readers if it’s worth the wait, if it justifies some finagling, if you want to risk arriving unannounced and braving the indifferent stares of the skittish young Lorelei at the welcome stand. Suddenly, if I’m determined to have dinner at 7:30 pm, I’m forced to use my name and connections. Here’s where professional compromise has gotten me in the last few weeks. Chef Bloomfield’s giardiniara is excellent, like all the other starters tonight. Can’t wait. I want to be wherever April Bloomfield and Ken Friedman have planted their flag. But they didn’t do reservations at the Breslin, so why would I expect them to make Bloomfield-worship easy at a burger joint in a budget hotel? I find an old phone number for Ken and to my shock, he answers. “If I come with three friends, could you promise not to let us stand too long?” I ask. He offers to save a booth. 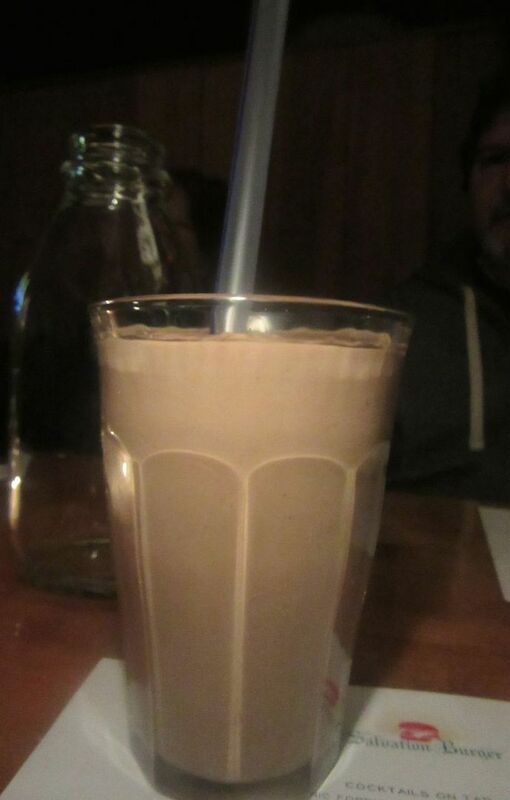 You won’t notice the delays in you’re sipping a thick chocolate chipotle milkshake with mezcal. Salvation Burger is full, a mix of everyday folks, all ages, not the intimidatingly beautiful people you might expect. It’s maybe the third day. The price for arriving too soon is confusion. April is nowhere in sight. The 8-oz, $25 burger with taleggio and caramelized onions I read about in the advance billing is not available tonight, our server advises. “April wasn’t happy with the meat,” he confides. “We’re also out of the hot dog,” he says. “It’s only 7:30,” I point out. “How can you be out of hot dogs?” He shrugs. That leaves the $17 classic duo of patties, a veggie burger and fish on a bun as salvation. We double up on the classic burger on house-made bun –“rare, I say, seriously rare” -- and order one of everything else on the menu, a modest listing, 5 by 8 inches. 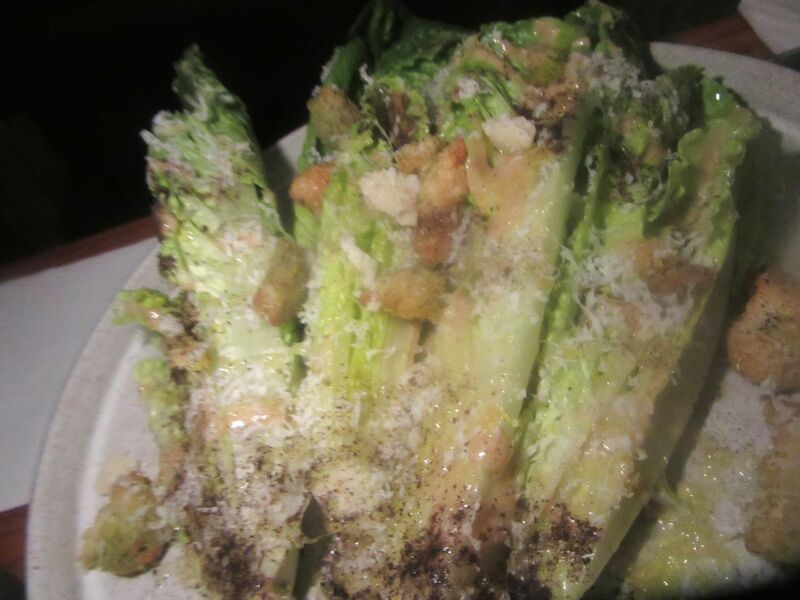 Here’s another remarkable Caesar from Bloomfield, not unlike her romaine masterwork at Breslin. Salads and snacks – delicate little jalapeño fritters, cosmic romaine with anchovy, raw vegetables with hummus and pistachio, elegant giardiniera -- the starters take forever to arrive. A frenzy of waiters gathers at the pickup end of the kitchen. Is it like the deli counter at Fairway? Did our server forget to take a number? 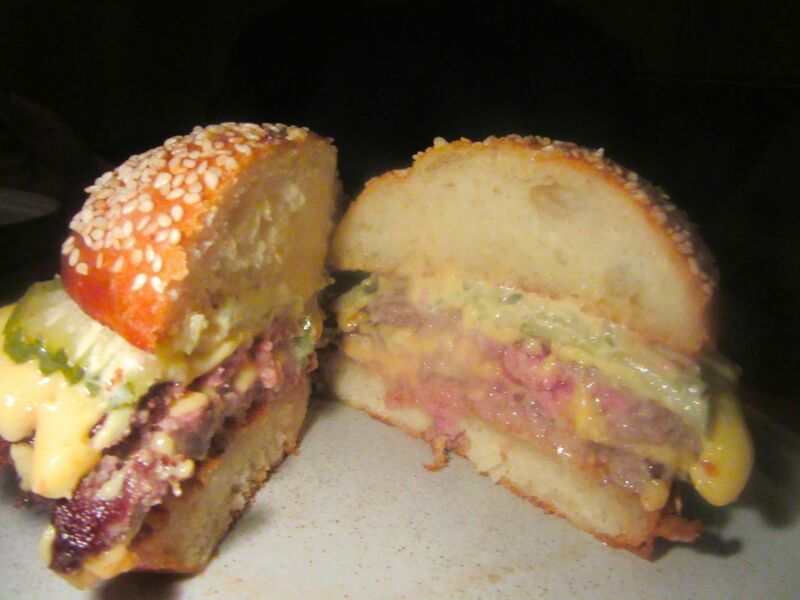 The $17 classic burger layers a duo of thin patties with pickles and a special sauce. We are amused briefly by the shifting rainbow of flames on the screen in our booth, but only for so long. Diane doesn’t mind. She’s over the moon, enraptured by her mezcal-spiked chocolate chipotle milkshake, almost too thick to inhale through the fat straw. Gary sips his ale. I, alas, have nothing but frustration to munch on. Finally, everything arrives, all in a swoop. Excellent salads and veggies to share. Tiny explosions of pepper in fritters no bigger than a pencil eraser. The edges of the anorexic patties in the classic are deliciously caramelized, surprisingly good. Maybe the fishwich could be crisper. At last, a chef who cares about old-fashioned pies – this banana cream beauty is a must. I’ve been complaining that New York restaurants don’t do old-fashioned pies. So I’m excited to find Bloomfield offers a roster of classics here. (Well, possibly parsnip chiffon pie with pear in a gingersnap crust will become a classic.) I planned to share all five pies and the Amaretti icebox cake. But dinner’s taken so long, we’re feeling too full. I pare dessert to three choices and determine to return as soon as possible. 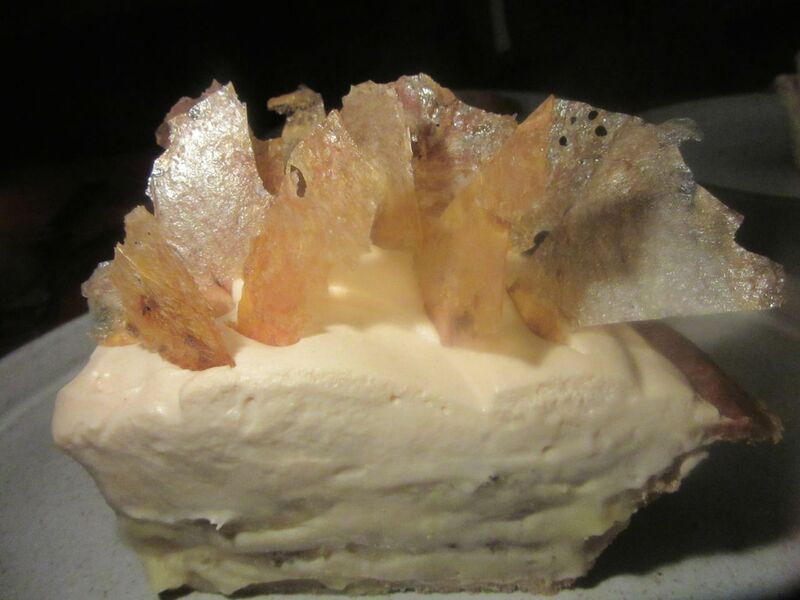 The banana cream pie is a stunner. It banishes the you-got-here-too-soon blues. 230 East 51st Street between Second and Third avenues. 646 277 2900. Daily noon to 2 am. Closed between 4:30 and 5:30 pm. Semolina cavatelli is tossed with pork spare ribs Leonetta-style – with tomato. Last Wednesday Mario Batali and his crew opened the 38-foot long white Caesarstone bar at La Sirena without advance warning. And a day later, the grey and white double-cloth-draped tables of the long-anticipated glassed-in restaurant on the plaza of the Maritime Hotel are already turning. Everyday mortals are shut out for now. I ask for a table in my name and am a little bit gaga when I actually got a pass. I climb a dozen steel steps unto what will be outdoor eating again come docile weather, and open the door to the host’s stand. 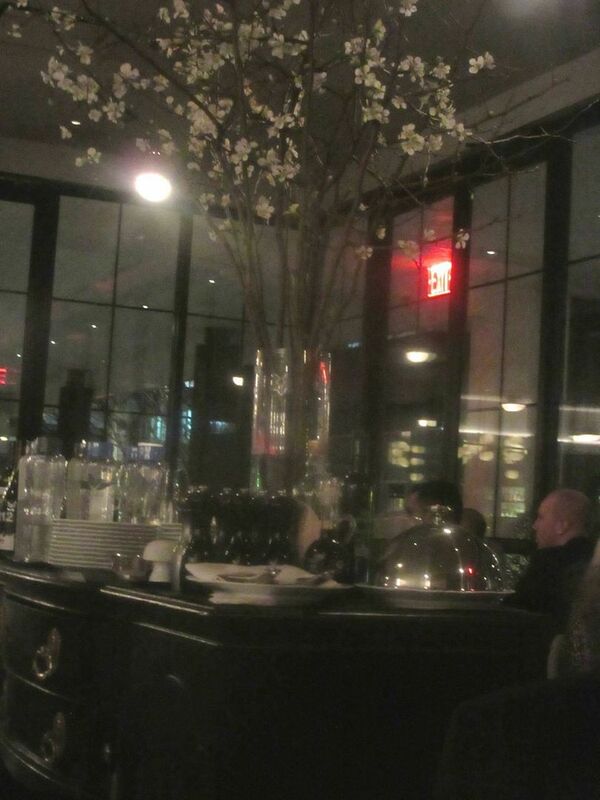 Flowers on the service table against the glass wall with its brilliant flow of traffic. The revved-up buzz of people clearly pleased with themselves for scoring a table this early plus blasts of music in the glass-wrapped room heightens the decibels. Though the kitchen might be a bit choked, our young sever has clearly been fine-tuned. The bussers, when they finally bring starters, move with rehearsed authority. 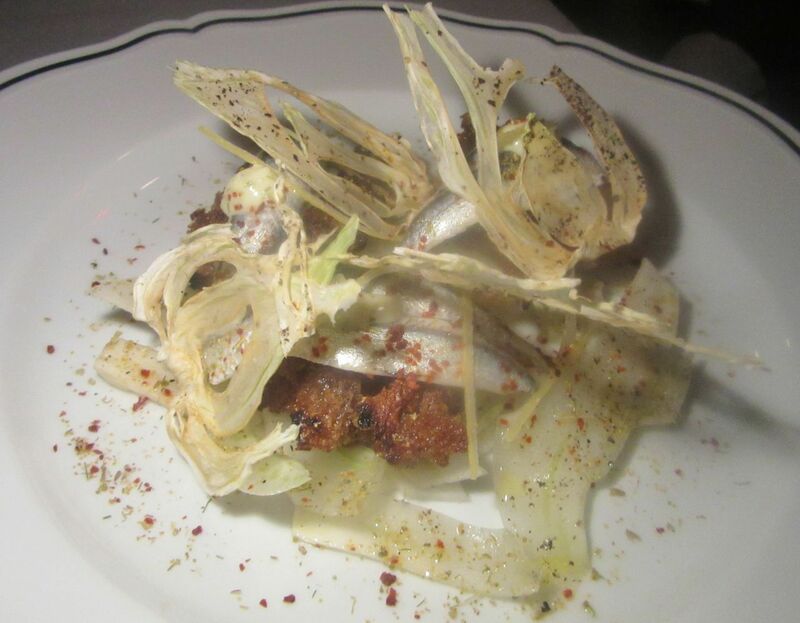 The marinated fresh anchovy with fennel three ways has an elegance to seduce anchovyphobes. Joe Bastianich has told Eater the food will be “satisfying, delicious, provocative and soulful.” Batali has said the place will be a little bit swanky, a little bit edgy and a little bit gritty. It’s safe to say after just one evening tasting familiars and innovations, they’re both right. Let me report that baked clams with Calabrian hot sauce and the elegant marinated anchovies with fennel three ways are more delicious than a small and very ordinary fritto misto with citrus aioli. The menu offers a tasting of any two pastas for $24. We order three pastas as a middle course for the four of us to share. Bucatini with octopus in a spicy tomato sauce is my favorite. 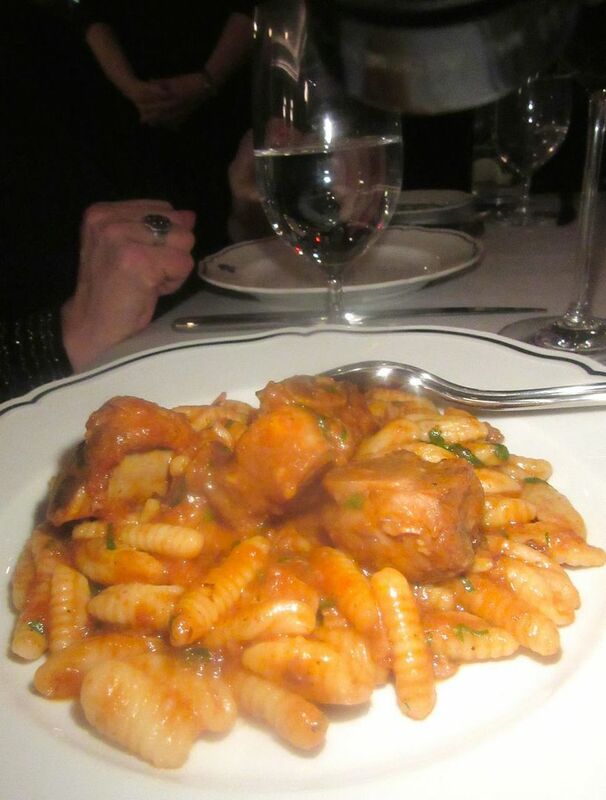 Semolina cavatelli laced with tomato-y pork spare ribs is good too, but there are eleven pastas listed tonght so I’m trying to book a return with Jeff Katz at the door, even before our two secondi arrive. 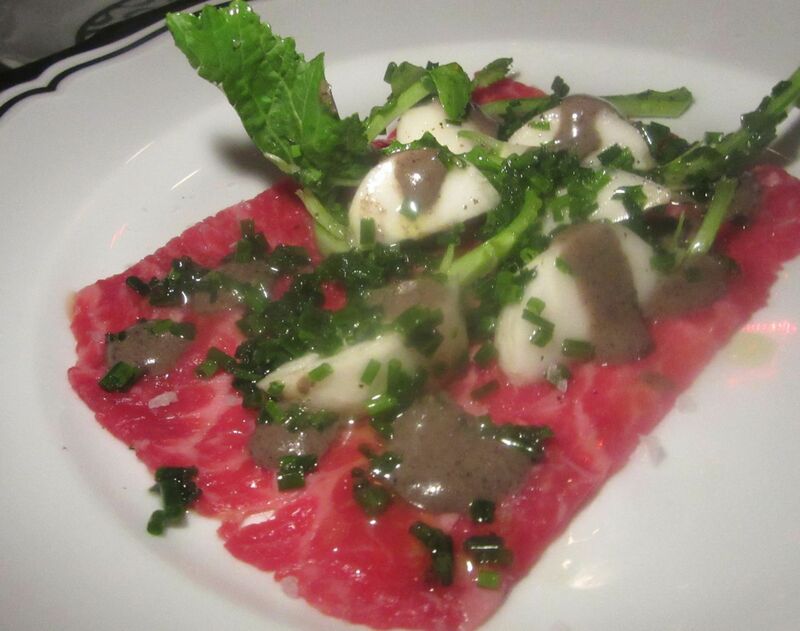 The kitchen sends out short rib carpaccio with turnips and a black truffle for the captain to grate. The rather tough duck breast is served alongside a luscious burger-like crépinette of the leg meat. And swordfish Messinese, ordered “rarish” and “lightly cooked,” in a Sicilian rubble of olives, currants, capers, tomato and pine nuts, could not be fresher, or more perfectly roasted. 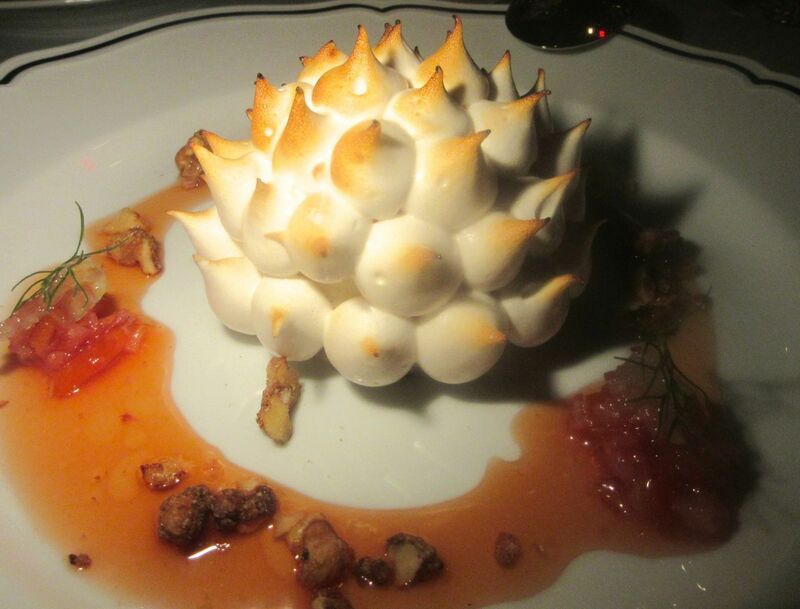 Inside this prickly meringue is the honey-walnut semifreddo with blood orange sorbetto. I imagine that chef Josh Laurano and the master mariner Mario will be fine-tuning the menu for a while. Certainly, as Mario has noted, it will change with the market. Tonight’s listing is dated 2/12. That’s suggests commitment to a work in progress. At some point, the kitchen will be serving breakfast and room service and the second dining room will open, but starting up gradually gives the team’s fussy perfectionists space to evolve. 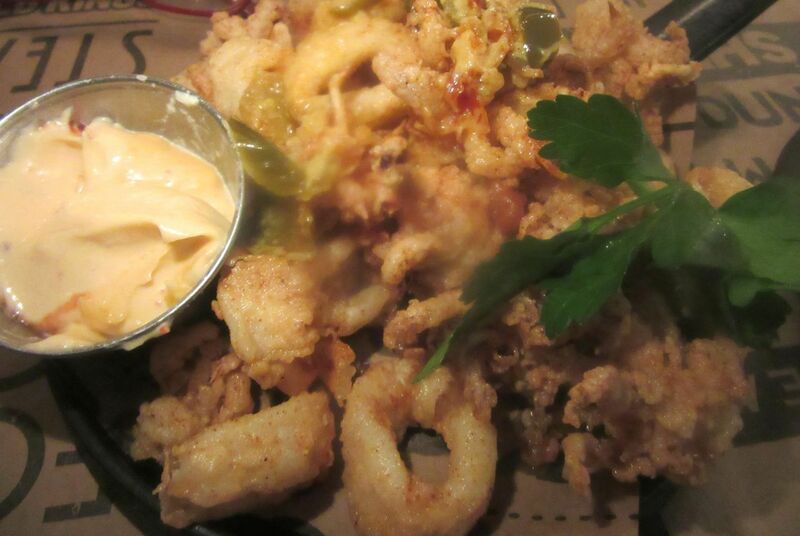 City Crab Shack’s cleanly fried calamari comes with a feisty smoked paprika aioli. Several days ago, a friend and I called half a dozen more or less hot new restaurants to claim a spot for dinner a dozen nights later. Everywhere we got the same old riff– an early bird special, or dinner after 9 pm. Should we try the new City Crab Shack? I won’t go into all the fateful twists of Andrew Silverman’s crabbing around Manhattan. Let’s just pick the story up a few months ago, when Danny Meyer signed the lease to move Union Square Café into what was City Crab and Seafood at 235 Park Avenue South. What had once been Silverman’s beloved Chat‘N’Chew in a cramped below-sidewalk space nearby became City Crab Shack, with a tank for live lobsters and crab. No surprise, we score a table for our five at 7:30. 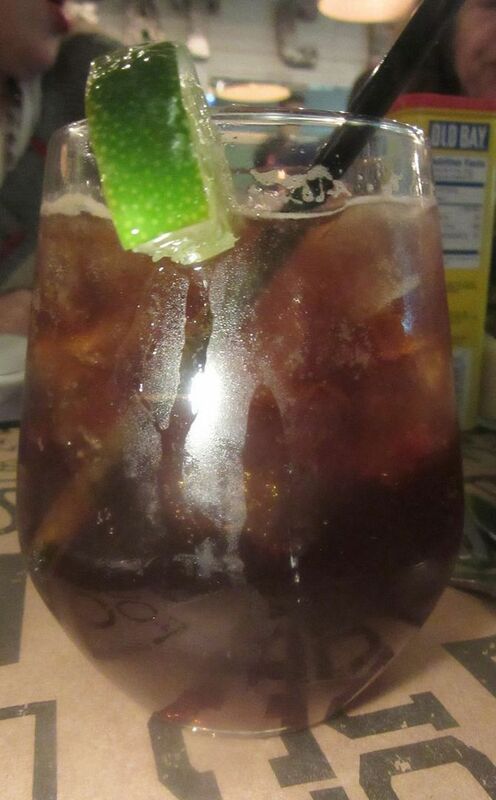 The rum of “Dark and Stormy” sets my mood as I wonder how well City Crab has transferred. I order the “Dark and Stormy,” a $12 rum and ginger beer I feel sums up my wavering faith in this crabby retreat. While my friends are chatting and getting to know each other, I get nods for my starter choices: Blue Crab beignets, the Caesar and crispy Point Judith calamari. One of my pals adds local Middleneck clams on the half shell. 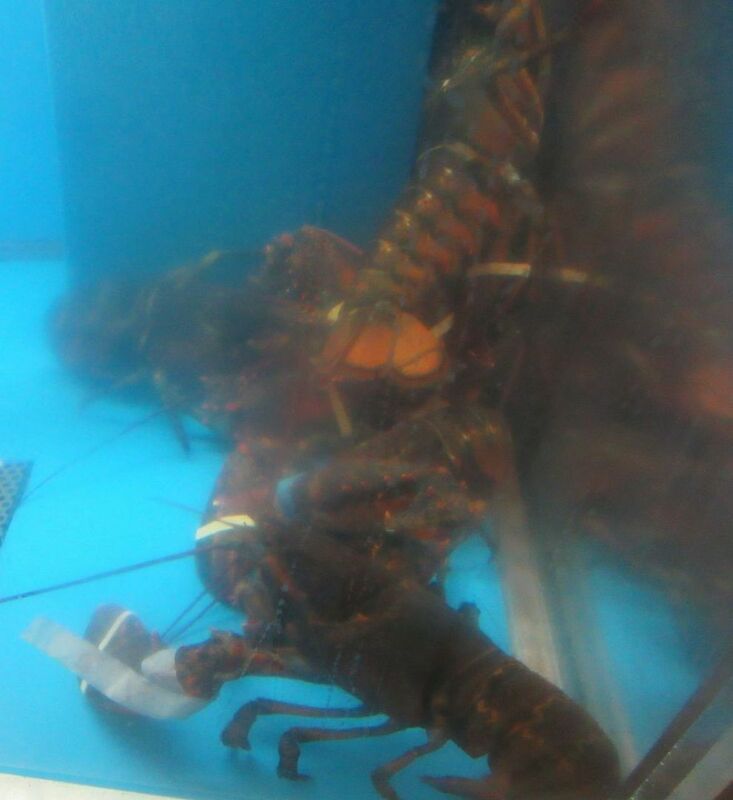 A few sleepy lobsters and a menacing fat crab nest in City Crab’s tank: a good sign. When asked, the very agreeable waitress fetches a fork and spoon to serve the salad, but needs to be asked again for something to dish out the calamari. Delicious critters, crisp and greaseless to drag through a feisty smoked paprika aioli. Three beignet balls are big enough to divide, tasty too. They get a Creole mustard dip. And the salad doesn’t need to be the best Caesar in town because it’s good enough. 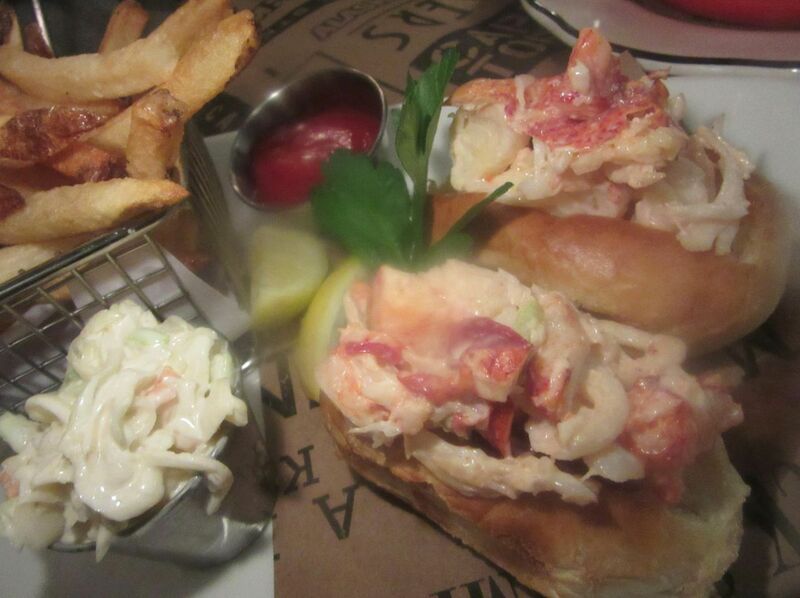 Delicate chunks of lobster in mayo are stuffed into very small buttered rolls. The duo of very small lobster rolls – fresh and bound with enough mayo even for me -- seem stingy for $25, even though the plate comes with decent fries and a cuplet of creamy coleslaw. 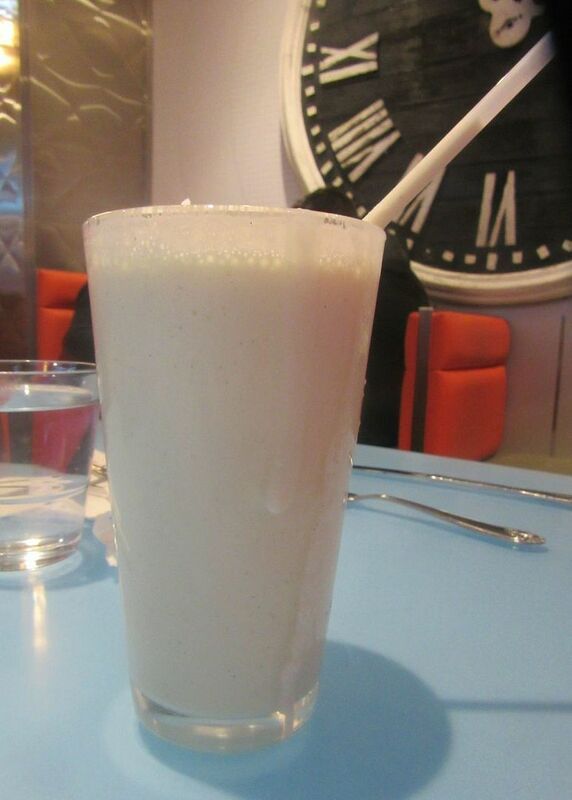 Maybe we needed two-and-a-half orders for our crew, rather than just two. 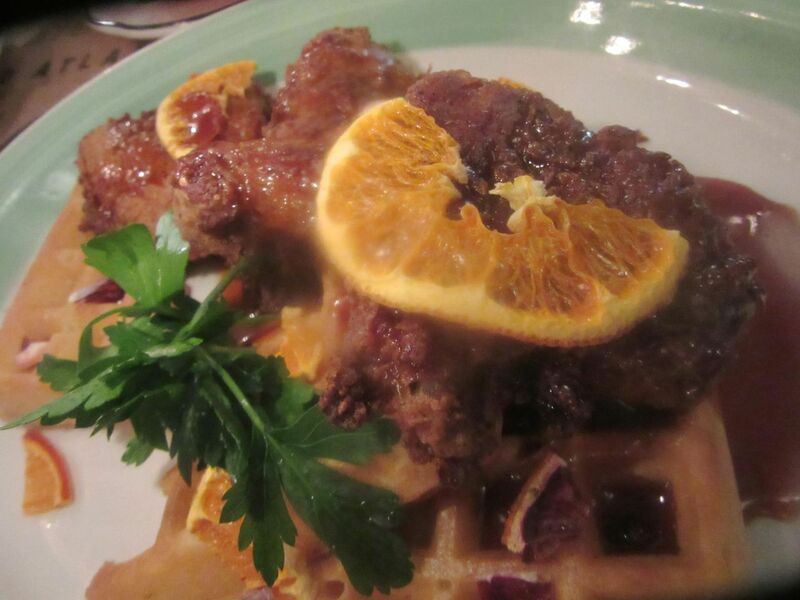 Caramelized orange slices add a sophisticated touch to wonderfully juicy fried chicken. But, we are also sharing crusty fried chicken $22 with waffles and orange compote, a $19.50 order of beer-battered fish and chips, and a $25 pair of Chesapeake “jumbo lump” crab cakes. Everything is good enough or very good, except for the overcooked spinach and an abused pecan chocolate tarte. My friend, who was a fan of Chat‘N’Chew, wishes I’d ordered something that wasn’t fried. Good point. And why not? 10 East 16th Street between Fifth and Union Square West. 212 529 3800. Daily 11 am to 11 pm.